A. Vogel is an outstanding brand that is one of the leaders in the natural health industry. They have been around since the early 1900’s and were led by an incredible pioneer in the homeopathic world, his name is Alfred Vogel. They have a rich long history and they are passionate about their niche. They have been around forever because the products work. Today I wanted to write about allergies and what I do to conquer hayfever. So let’s get to it! Imagine being able to wake up in the morning without swollen eyes, or being able to sit through a meeting or a lecture without have to blow your nose the whole time. There are natural remedies that actually work so you can feel normal again. I am a long time sufferer of seasonal allergies and I felt it was time to write about all the natural things you can do, to help your allergy symptoms. When I was a kid, I used to get sent home from school because they thought I had pink eye, when it was actually seasonal allergies. Well, all I can say is, allergies can really disrupt your daily life and the good news is that there are natural remedies as well as homeopathic solutions, that work! 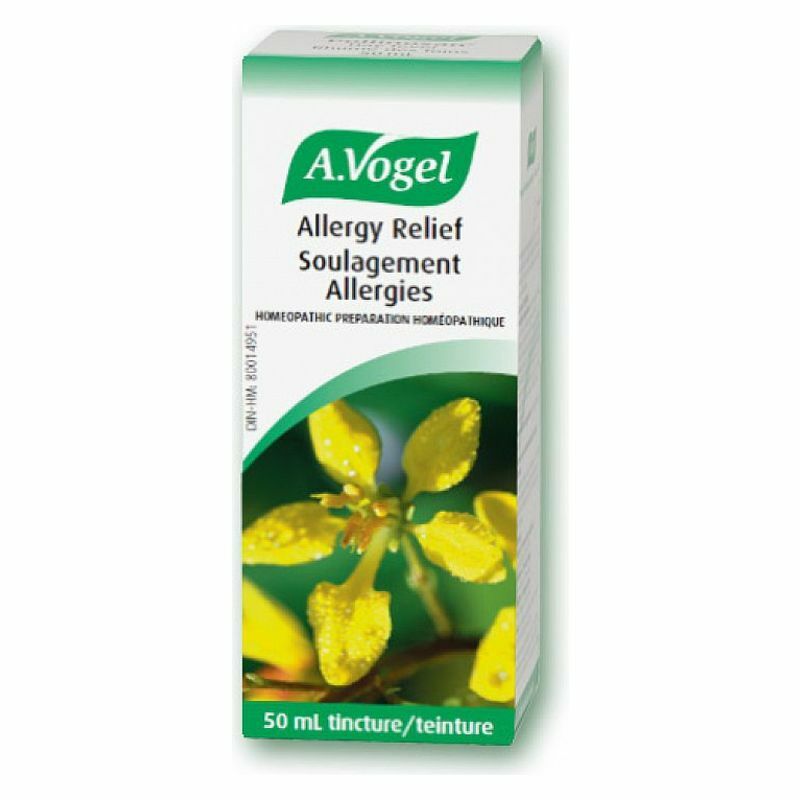 A. Vogel Allergy Relief, formally known as Pollinosan Hayfever tablets are truly amazing and life changing for me. If you do not like swallowing pills, then this is the perfect solution. A. Vogel’s Allergy Relief formula is homeopathic. You will find that homeopathic remedies are often tinctures or little tablets that dissolve under the tongue. Visit ShopAlive for more selection of A. Vogel products. Allergy Relief hayfever tablets are made to an original A.Vogel formula. It contains 7 tropical herbs in varying homeopathic potencies. Allergy Relief tablets are non-drowsy so will not affect your ability to drive or use machinery. It can be used to help treat allergies to grass or tree pollen (hayfever), as well as allergies to dust, animals and pets (allergic rhinitis) – both conditions give rise to symptoms such as itching and watery eyes, sneezing, tickly nose or throat and a blocked nose. There are some simple teas and drinks to add to your diet as well, to keep your histamine levels in check. For me, drinking Stinging Nettle Tea works wonders, but there are others too! Try peppermint tea! Its also delicious in the summer months cooled down into an iced tea with some lemon. Water of course! It is pretty common sense as it is essential for life, but it is always a great reminder to drink water and if you do not like the taste of water, try adding in some electrolyte mixes! Vega makes a great one and there is always Emergen-C too! Another favourite is BioSteel. If you want to cut down on the coffee, try supplementing a few cups with Green Tea. There are so many health benefits to green tea, and it is refreshing. It is filled with antioxidents and it helps to repair the immune system as it gets quite stressed with dealing with allergens. We hope that you will come and visit us at either Alive Health Centre, Morning Sun or Supplements Plus near you! Do not sit in silence; there are so many things you can do to better your health! Get excited and take charge of your health. Let’s work together, along with your doctor to ensure you are doing all you can to lead a happy and healthy life. Our team looks forward to helping you with whatever your health concerns are.